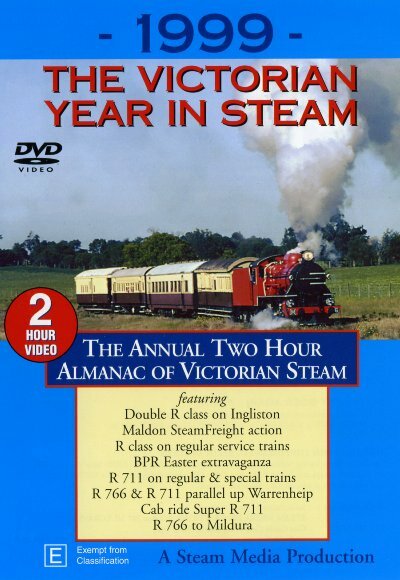 1999: The Victorian Year in Steam 1999 provided a variety of steam action on main and tourist lines in Victoria. Enthusiast trips, a triple header, special railfan weekend operations at Maldon and many double-headed combinations provided spectacular sound and vision. As well as state-wide normal steam workings, modernised R 711 turned in spectacular performances on the West Coast Railway. Recorded on digital cameras (mostly 3CCD) and digitally edited. All colour, all original sound. Copyright (c) 2007 Stylized. All rights reserved. Designed by NodeThirtyThree for Free CSS Templates.